Chelsea Story is an associate in the Dallas-Fort Worth office of Colliers International. With broad experience in the tech sector and an entrepreneurial approach, she specializes in office tenant representation and assists with transaction management, client interaction and business development. Chelsea has provided real estate services to clients in Dallas-Fort Worth, and across multiple markets, helping their businesses continue to grow and flourish. With a background in marketing, Chelsea brings creative solutions to achieving business goals through real estate. She understands that real estate can be an integral part of brand development, cultural support, growth strategy, and attracting/retaining valued employees. David Wetherington is an Executive Vice President in the Dallas-Fort Worth office of Colliers International specializing in office tenant representation. David’s significant experience of 28 years includes representing tenants in over six million square feet in lease and purchase acquisitions, saving his clients in excess of $75 million. 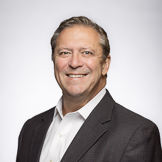 He has implemented strategic planning and transaction management services for several Fortune 500 corporations and helped integrate portfolio and transaction management technology for clients with thousands of locations worldwide. David’s various assignments include: portfolio management; strategic planning; lease administration; and acquisition and disposition of real estate.